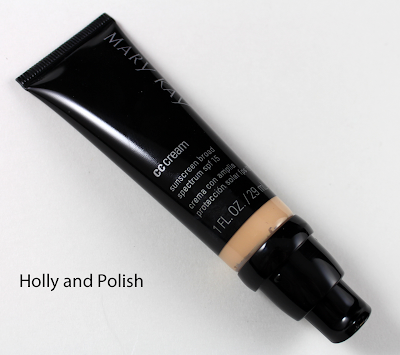 Holly and Polish: A Nail Polish and Beauty Blog: Mary Kay CC Cream Review! 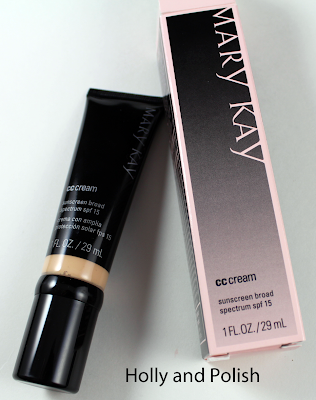 Mary Kay CC Cream Review! Hey everyone! Oh my goodness, it has been such a stressful week! I am going on vacation next week (woot woot! ), but that means that I had a work load equivalent to two weeks this week, so everyday I was going into work early and staying late. Then to top it off, I was on the way to the grocery store today and saw a baby kitten get hit by a car in the middle of the highway. I quickly pulled over and ran into the middle of the road, and managed to save the poor little guy. I rushed him to the animal hospital, where he had surgery, and I'm so happy to say he will be ok! However, now I have an extra cat that I don't really have room for. I plan on nursing him back to health and then I will try to find him a new home. Wish me luck! About a month ago, Mary Kay was generous enough to send me a package full of products to try out. My favorite of all of the products they sent was their CC cream. I had never used a CC cream before and just usually used my Bare Minerals Foundation . I absolutely love wearing this stuff, and have been using it everyday! It has made my skin so smooth and has really evened out my skin tone. 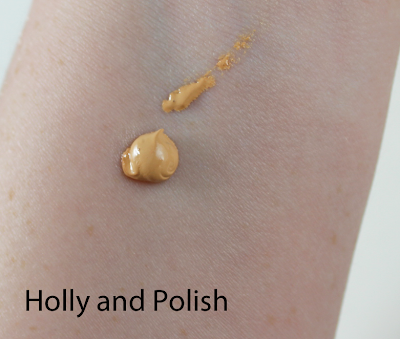 It also applied really smooth and doesn't look cakey under my powder, which is awesome! For those of you who don't know what CC cream is: CC means "Color Correcting." CC cream is meant to even out your skin tone and moisturize. (Most contain SPF as well) The Mary Kay CC Cream is a pretty decent size (1 oz) and I usually use 1 1/2 pumps to cover my whole face. I'm guessing this will last me about 5 months. This retails for $20 on the Mary Kay website. This is the shade "very light." 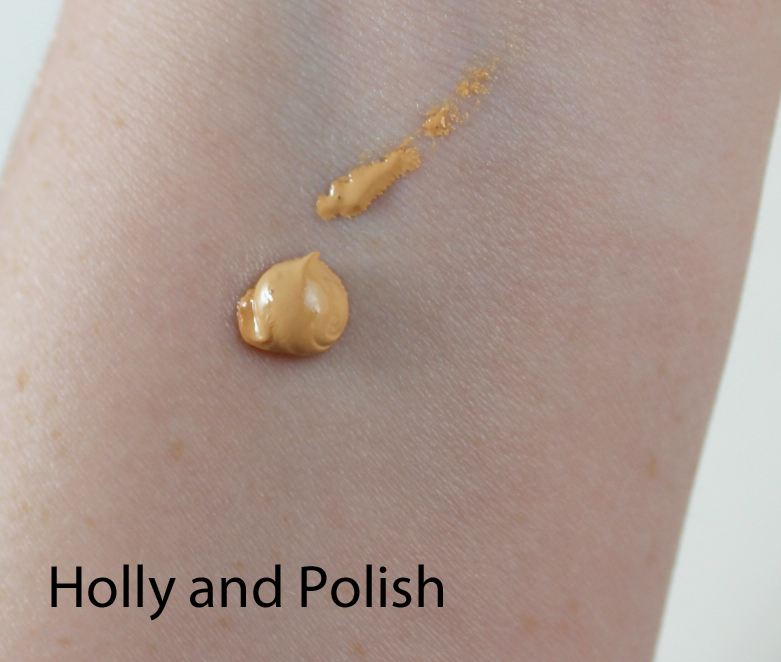 It comes off a little orange in the pictures, but it blends really well and matches my pale skin tone perfectly! I love reading your reviews! Weird that it looks shades darker but then it blends well... hmm, maybe I'll pick up one to try it out. Just curious, have you tried Vain Pursuits skincare?